You get the error: "unable to enumerate USB device on port 2"
The disk does not show up in the regular /dev/ structure. On my old iMac, it worked just fine. But it only supported USB 2.0. The hard drive supports USB 3.0, but fell back to USB 2.0 on my old iMac. 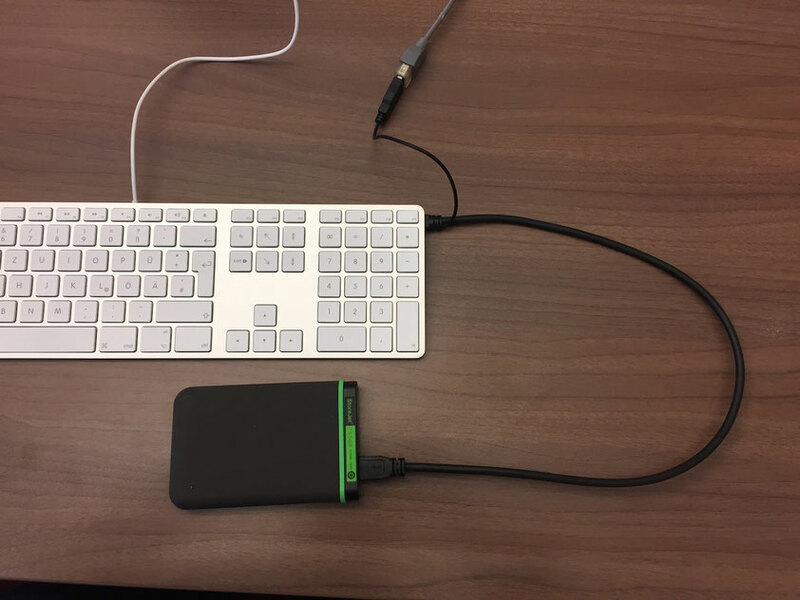 USB Disk plugged into Mac-Keyboard. It is only USB 2.0 - problem solved. I could not find a solution in software, but in hardware, it was quite easy. My keyboard has two USB-jacks. And it only runs USB 2.0. Unfortunately, it is a little weak voltage-wise, so I had to find an old cable that came with two plugs and got the extra-voltage from my iMac.